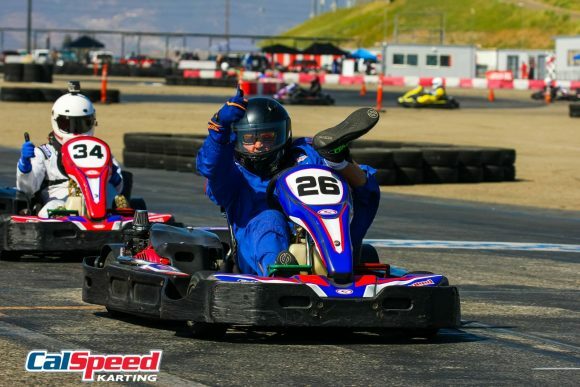 Samuel Hunt, winner of Round 8 and current lead of the Summer Sub-championship, started off dominating his qualifying session. It seemed like no one was going to chip away at his blistering pace. Meanwhile, Spencer Russell and Rodney Bryant were pulling off excellent times last minute. In the end, Hunt would be the only driver to break into the 53-second range with a 53.993 to add another pole position to his record. 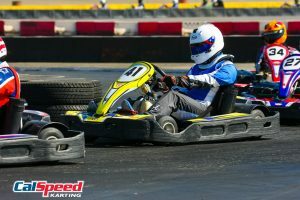 Hunt started on pole for heat 1A followed by Luca Bortone who had just returned to the Sprint Series after several months’ hiatus. The two stayed in tandem for nearly half of the race until Bortone opted for a very successful inside pass through Kornakurva. A blue flag followed shortly thereafter, squeezing the leaders in the bypass. Bortone took advantage, just barely skating by lap traffic, enabling him to score his first heat win in the Sprint Series. 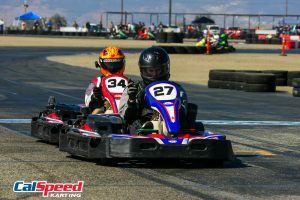 Early on in heat 1B, Evan Karp took the lead and never looked back, no doubt using newfound lessons after some experience in the VLR Spec 206 class within the last few weeks at Tri-C Karters. Over 2 seconds back was the battle for P2 with Russell swallowed by a storm of drivers not letting up on any infighting. 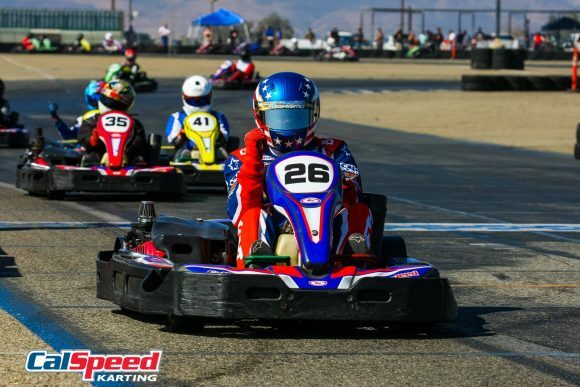 As a repeat of the previous heat, non-stop lap traffic led to scattering of the lead but ultimately Karp would come out quietly with the lead followed by Russell and Diego Alvarado in third. Heat 1C began with Rodney Bryant holding the torch and Randy McKee and Jacob Abrams taking to battle immediately into the Esses. 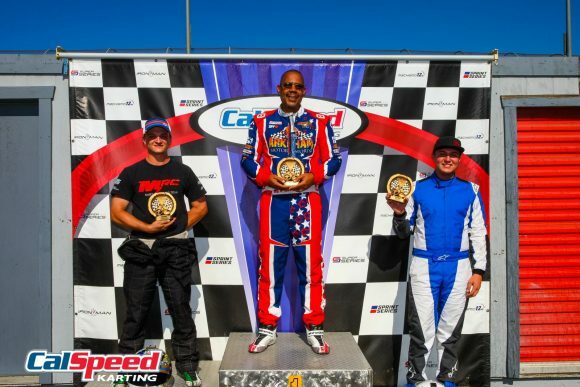 Despite their infighting, the top three managed to begin gapping the field after only a couple of laps. Bryant remained steadfast with his lead, however, leaving no room for McKee and Abrams to get through. The latter pair would duel throughout the heat, coming to the start/finish side by side and with Abrams grabbing the P2 spot behind winning driver Bryant. 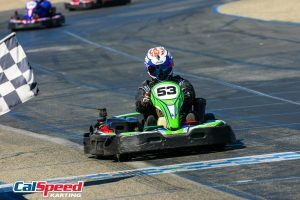 In the words of CalSpeed’s official photographer Sean Buur, “The C-Main was a wild one.” With a very frantic start into the Esses, onlookers were bound to see action all throughout the race. Pedro de la Hoya and Carlos Verdinelli started off in P2 and P3 respectively but it was Max Demoss Jr. from his P4 start who would be able to take advantage of the non-stop lap traffic and forage to the front of the pack. 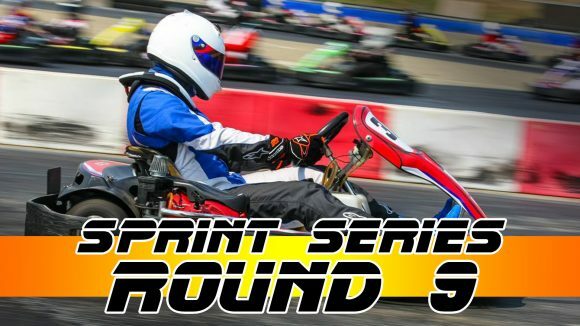 In all the hubbub of karts scattered throughout the track, Demoss Jr would score the win followed by de la Hoya and Verdinelli to round out the top 3 of the C-Main. Both Kevin Erikson and Doug Yauney pulled off excellent starts, jumping 2 spots to get to the front at the B-Main’s green flag. Yauney maintained fast lap after fast lap, pulling no punches as he tried constantly to get around Erikson. Meanwhile, Sicheng Li made his own inroads, making way through traffic to get right behind the Erikson-Yauney duo about halfway through the race. A real slick move through the Esses would be a boon for Yauney, bringing him to the front to carry the B-Main win home once again with Erikson and Li rounding out the top. The front row of the A-Main saw Bryant and Bortone get out to solid starts with the latter very quickly stealing away the lead in the Carousel just after the green. Bryant, Hunt, and Russell took to a battle for second– Hunt attacking in turn 4, thus allowing Bortone a little bit of breathing room. Any sense of ease wouldn’t last very long as Russell steamrolled to latch onto him, the two pairing up to try and get away from Bryant. Speaking of breathing room, there was none to be had with the top 4 now absolutely glued together. In the waning laps, the top group would shuffle heavily, seeing Bryant get to P2 and Karp repositioned into third. It seemed almost like a sure thing with Bortone leading nearly the whole race but it wasn’t meant to be– in Carousel, Bryant would successfully steal it away, placing a huge defensive wall afterwards and going on to grab his first ever Sprint Series win ahead of Bortone’s first podium and Hunt’s P3.